As daylight fades into evening, the air is filled with gentle breezes and the light scent of rose and lavender. 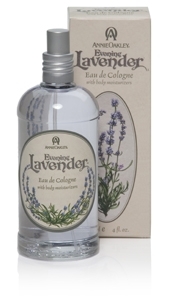 Soothing Evening Lavender combines vanilla, white musk and green leafy notes for a soft, calming fragrance any time of day. Made with Annie Oakley's exclusive SeaOats protein to add wonderful moisturizers, minerals and skin-rejuvenating botanicals for toned and radiant skin.